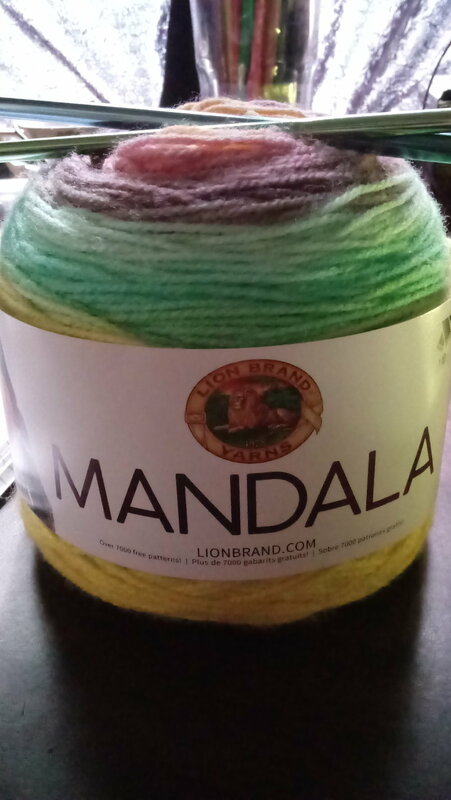 Recently I bought a couple balls of Lion Brand's Mandala and it's one of those yarns that you buy and wonder "what can I make with just one ball/cake/skein?" So among my very cluttered desk I saw a still-packaged Tunisian (or afghan) hook that I bought on a whim and decided I should try it out. 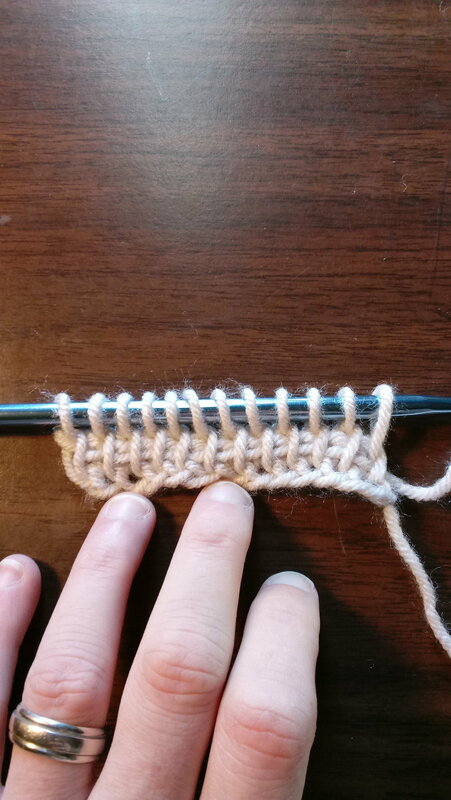 I have worked tunisian crochet before but I hadn't went beyond TSS (Tunisian Simple Stitch) so I figured I could work on some stitch variations for practice to create a design simple enough for beginners. 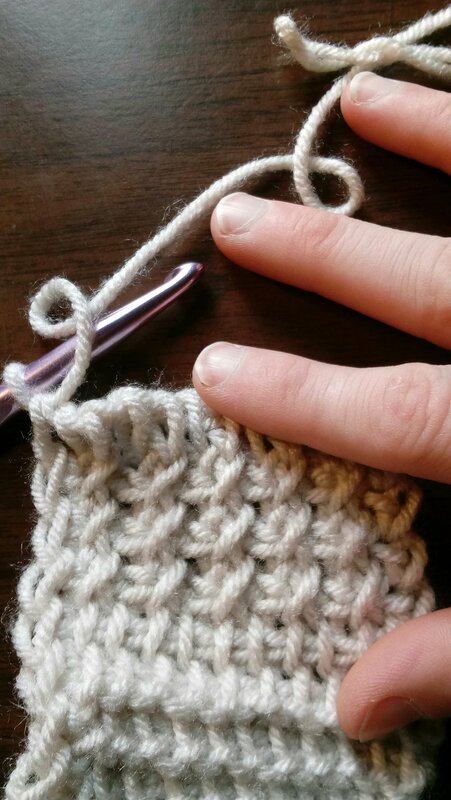 What I like about Tunisian crochet are all the lovely textures you can achieve just by inserting your hook in different ways. Before the pattern I'm going to break down all the different stitches I used and show you how to work them. Forward pass: this is when you're gathering all the loops on your hook. 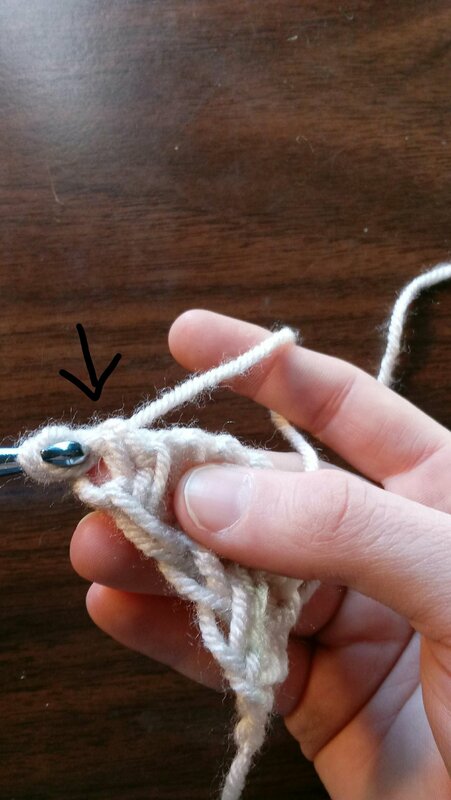 Return Pass: this is when you're working all the loops off your hook. To work TSS make any number of chains. Insert hook in 2nd chain from hook, yarn over and pull up a loop, (insert hook in next chain, yo and pull up a lp) across. 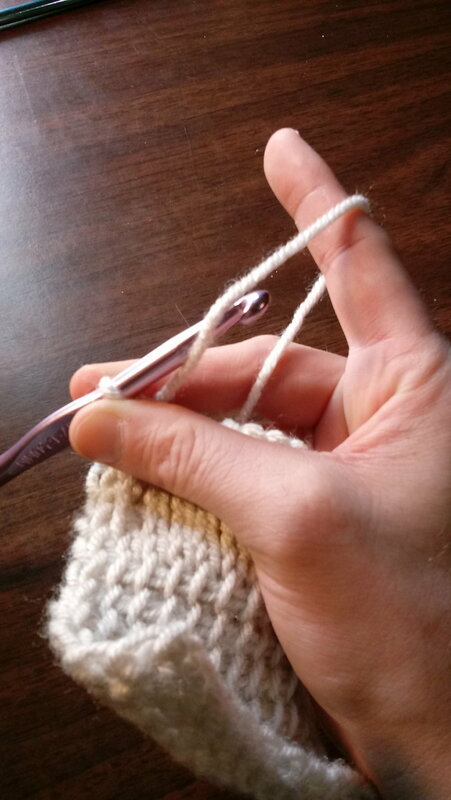 For your return pass: ch 1 (yarn over, pull through two loops on hook. For your next forward pass you will be inserting your hook in the vertical loops and pulling up a loop. 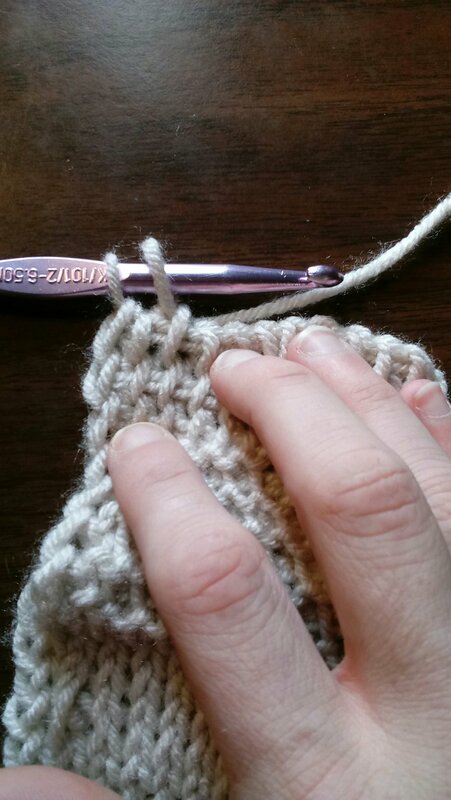 Unlike regular crochet the first loop on your hook counts as a stitch and you do not work into the first vertical loop that is right below it. After that your return pass is the same as before: ch 1, (yo, pull through 2 loops) across. After a few rows this is what it looks like. 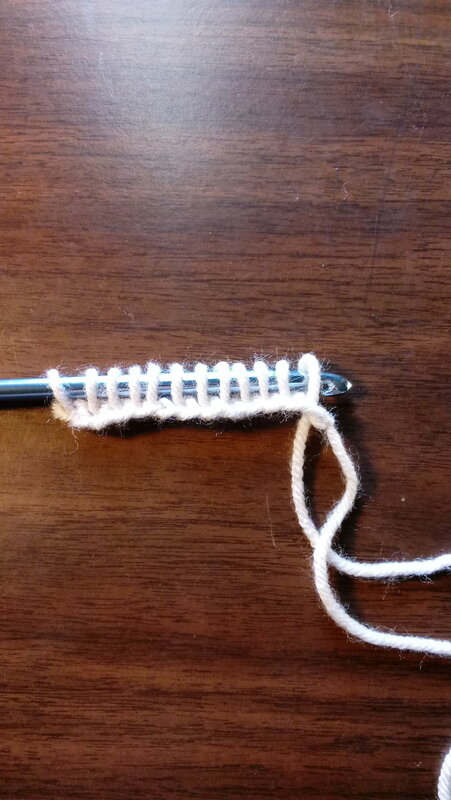 To work TKS instead of inserting the hook in the vertical loop, you insert the hook in between the front and back vertical loops all the way through, yarn over and pull up a loop. The return pass is the same as TSS; ch 1, (yo, pull through 2 loops) across. For the foward pass you work exactly the same as TSS except you bring your yarn in front of your work. Its a little awkward at first, but once you get into a rhythm it gets easier. For the foward pass: work in the vertical loops same as TSS, skipping the first one, yo pull up a loop. Then insert hook in the skipped vertical loop, yo pull up a loop. Continue in the same manner all the way across, skip one loop, insert hook in next loop, pull up a loop, insert hook in skipped loop, yo, pull up a loop. The return pass is the same. Ch 1, (yo, pull through 2 loops) across. 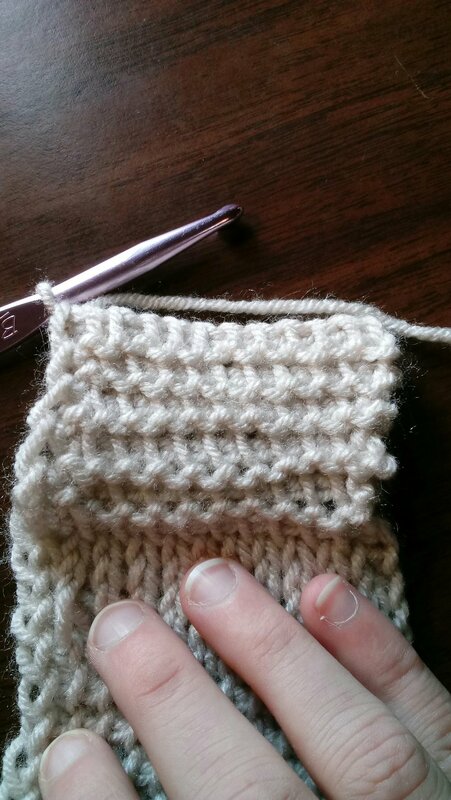 The base for the pattern is the same throughout with variations of the stitches shown above. If you like one stitch better than the other feel free to change the stitches however you like just be sure to make the same increases and decreases as stated in Rows 2&3. The return pass is the same for each row. 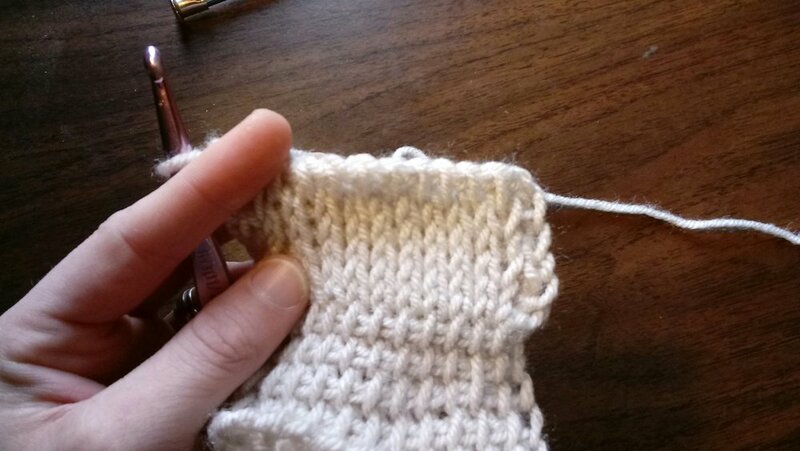 Before you start, take note that since you will be yarning over and making an increase stitch at the beginning of each row, your first stitch that you will be working into may try to hide. Your increases will be made before that stitch. 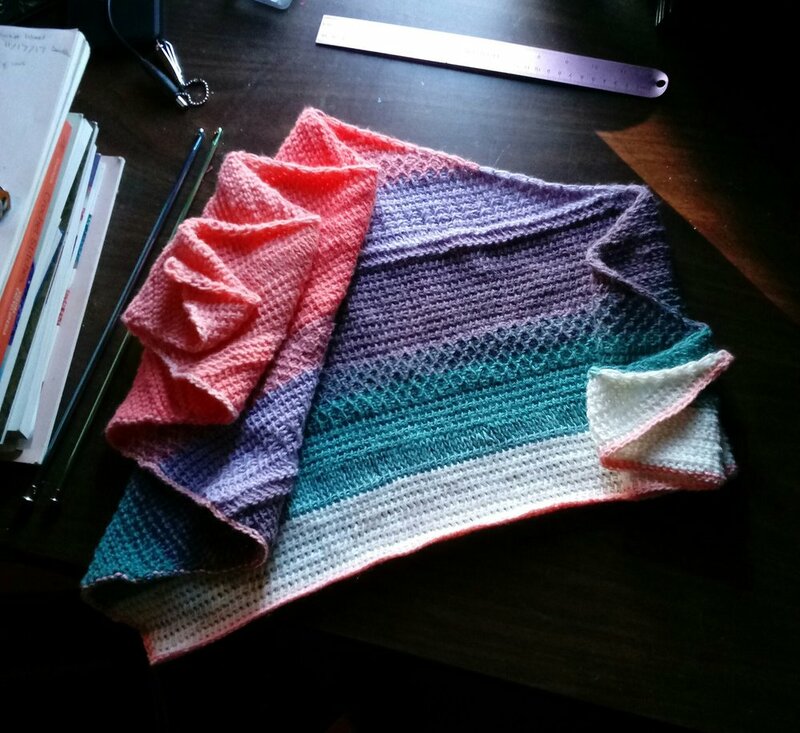 I used one cake of Lion Brand Yarn's Mandala which is a lightweight (3) yarn and a Size K-6.5 and I -5.25 tunisian hook. 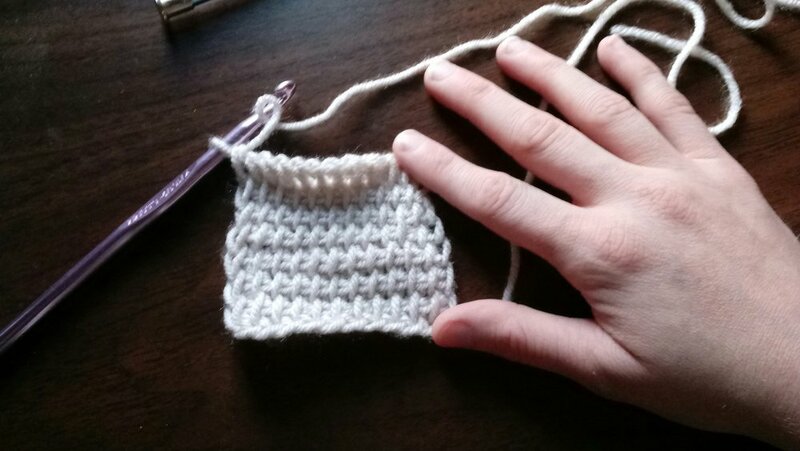 The smaller hook is for the last row and edging but not totally necessary. 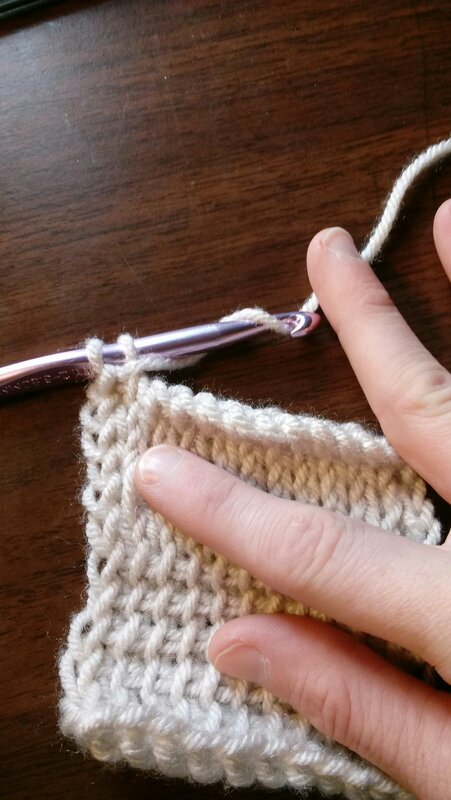 No gauge is needed and if substituting yarn be sure to use a larger than stated on the yarn label since Tunisian crochet creates a denser fabric than regular crochet. 1 Cake of Mandala has 590 yards. Insert hook in 2nd ch from hook, yo, pull up a loop, insert hook in next ch, yo, pull up a lp. Return pass: (same here and throughout) ch 1, (yo, pull through 2 lps) across. Row 2: Yo, insert hook before first st, yo, pull up a lp, TSS across. 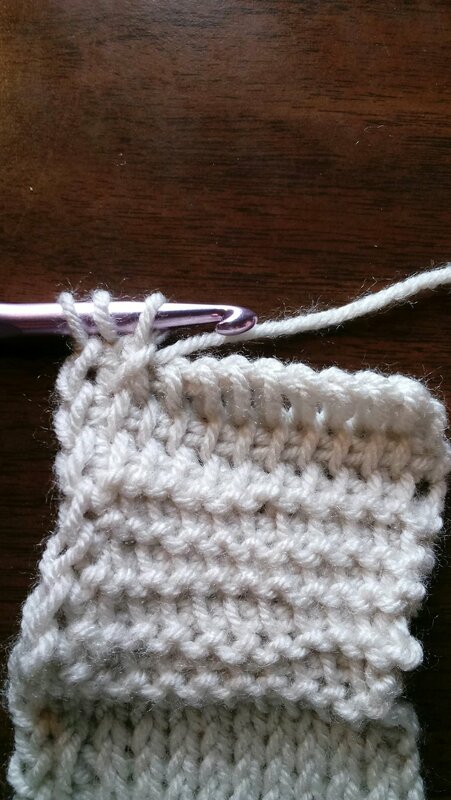 Last row and border: Change to smaller hook and sl stitch in each vertical loop across, turn to work along edge and sl st evenly across. Fasten off. Weave in ends. Block as needed. Sample shown measures 65"in length and is 18" at the widest part. God Bless and Happy Hooking!